After careful consideration, your dentist like Beaverton family dentist Dr. Walker may decide that a filling is necessary for your dental health. You may envision traditional silver fillings, but there are actually many options when it comes to protecting your teeth from decay. 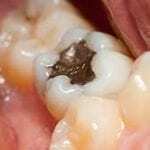 What is the Purpose of Dental Fillings? Fillings are required when there’s evidence of tooth decay, also known as cavities. Tooth decay is caused by bacteria that, when exposed to sugar, create acid that attacks teeth. Tooth enamel breaks down, creating a hole that is called a cavity. Fillings are materials placed in teeth that help stop the progress of tooth decay and protect it for future use. It’s the presence of mercury that has caused controversy in recent years. Mercury is a known toxin, and there has been concern among scientists and dental professionals that mercury is released from these metal fillings when they’re placed and when we use our teeth to chew. 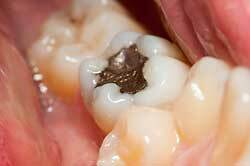 Although there is concern, there’s been no definitive evidence regarding long-term harm from amalgam fillings. If you currently have a metal filling, it needs to be regularly evaluated by Dr. Walker at Murray Scholls Family Dental – if it still functions well, it should be left alone. However, if it needs to be replaced, consider talking with your dentist about alternatives to amalgam fillings.